…so dear to my heart! Our beloved friend Laura recently celebrated a birthday. Belated but no less enthusiastic cheers and well wishes, dear friend for a great year and many more to come! 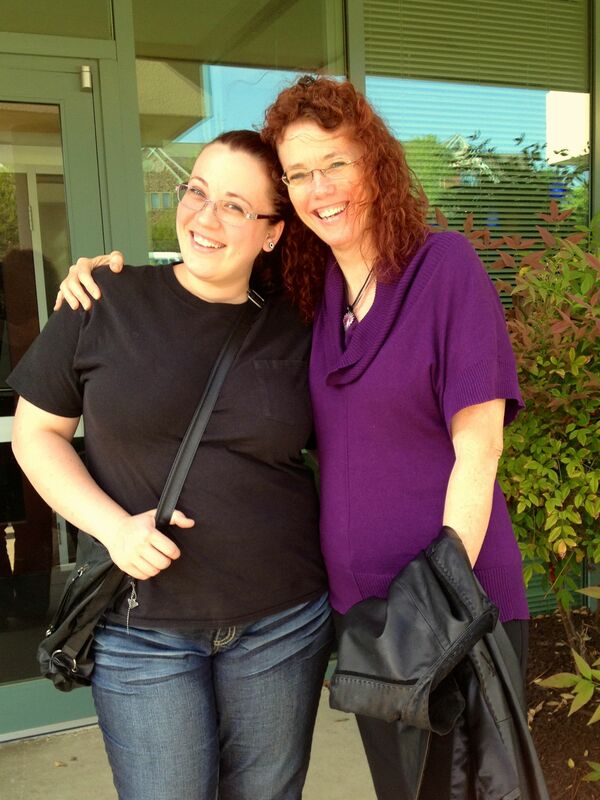 Lucky me, I got a chance to see Laura in May…and to meet her gorgeous and brilliant daughter ,Brin. Kathy and I have known Laura for 7 or 8 years (don’t remember when we first “met,” virtually) and worked with her until I retired in 2010. Fortunately, she continues to work with the program and that has made it possible for at least an annual get-together (tho’ we’re still trying to make a date when all three of us are in the same place at the same time. That would be awesome – someday…). So, again, dear friend: best wishes for a super great year! Love ya! 06 Jul	This entry was written by Honoré and published on July 6, 2013 at 4:29 pm. It’s filed under Connections, Friendship, Honoré, Laura. Bookmark the permalink. Follow any comments here with the RSS feed for this post.